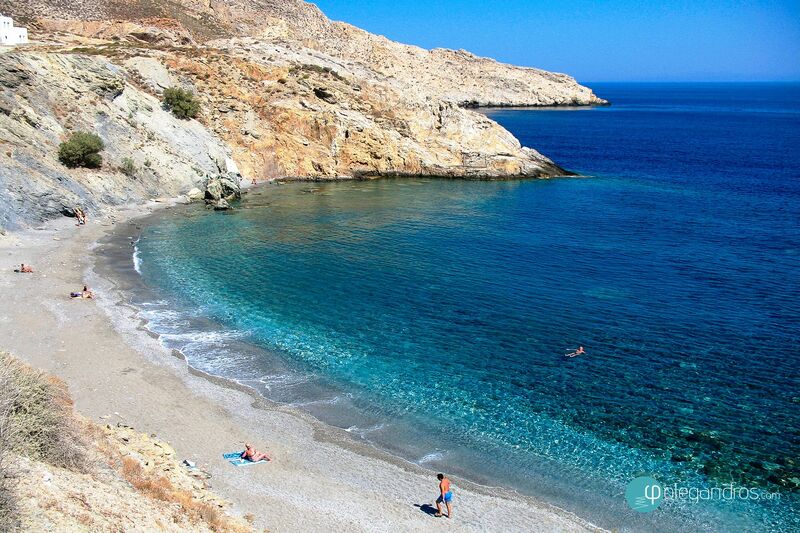 discover the most beautiful beaches of Folegandros, Angali, Karavostasi, Agios Nikolaos. 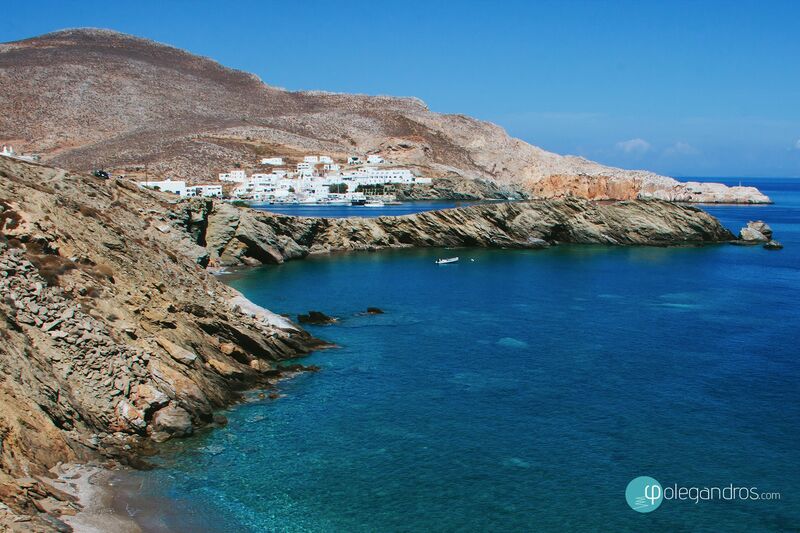 Folegandros has several beaches, both sandy and rocky over a variety of blue nuances. Not all of them are easy to reach: either you need to walk a bit or rent the bus boats in Karavostasi. Two beautiful beaches are easy to access by bus of car/moto: Karavostasi and the white-sandy fantastic Angali. Our first suggestion is to get a map, take a snapshot of the bus schedule from and to the Chora, and if you then go by boat, always take along water…. and snacks! 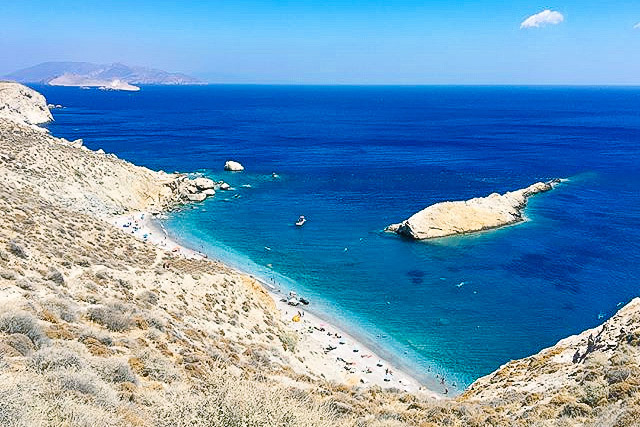 From Karavostasi you may reach Vardia Beach, Latinaki, Vitzenzou, Pountaki and the beach of Livadi, where there is a camping, and more distant the beach of Agios Nikolaos. At Karavostasi, the port, you find a fairly long stoned beach, tree lined, and with clear light blue waters. Also, here you find Vardia Beach, East of the port with brilliant waters facing SouthEast, and the way to other small sandy beaches. Walking and trekking is part of the vacation. Walking this island is a joy as the nature, its perfumes, and its silence are unique. 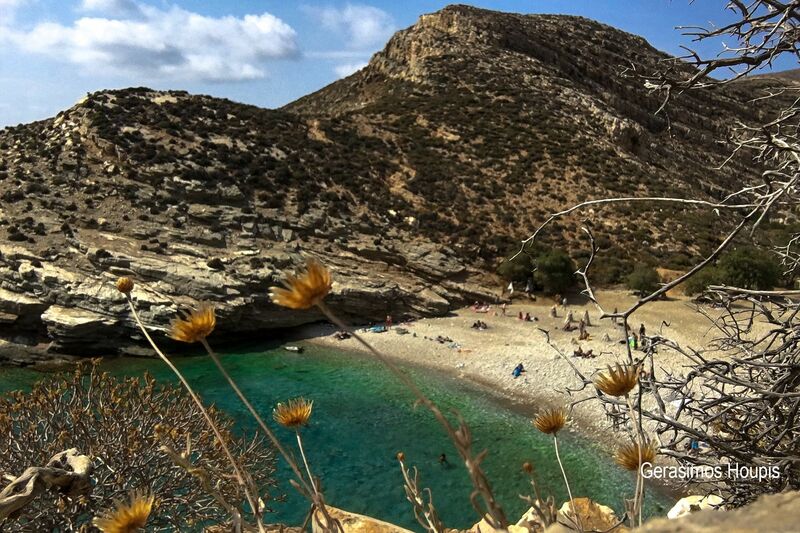 In springtime and early summer, the island is rich with caper flowers, thyme and oregano. 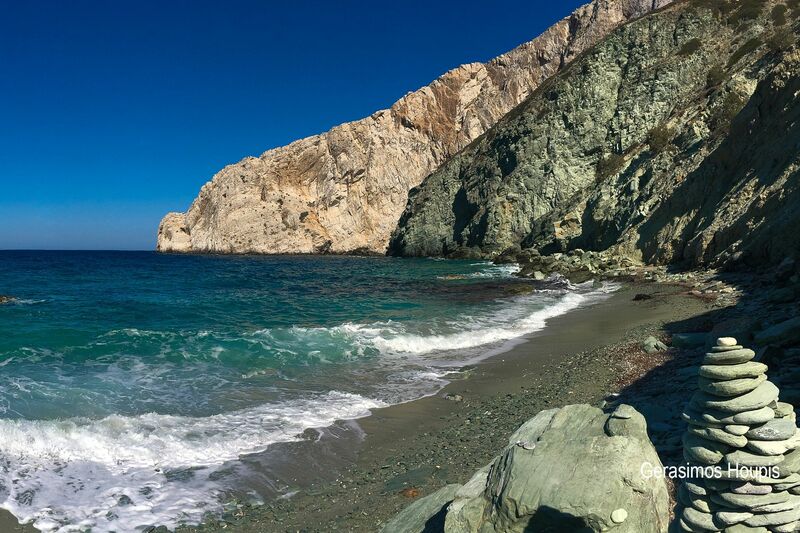 Folegandros Beaches are not equipped and neither will you bother or be bothered by modern noisy water sports. This is the island of peace and to fall in love! If you forget your bathing suit, no problem: naturists are welcomed. Beautiful white sandy beach surrounded by high cliffs. Access : Easy access by car, bus or on foot. 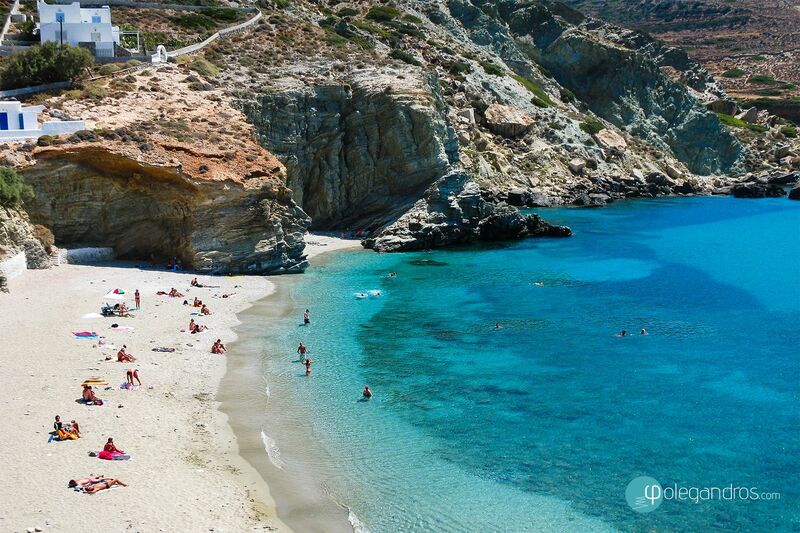 Services : Unorganized beach with few cafes and tavernas nearby. Safe for families and children. 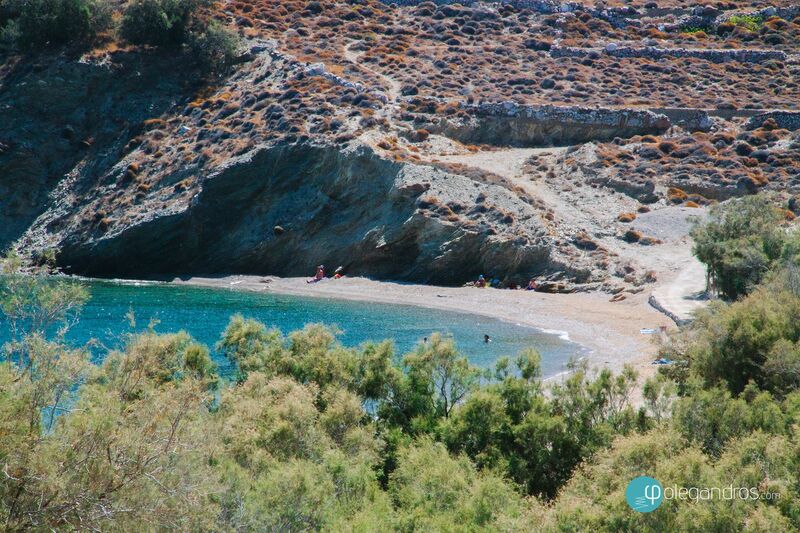 From Agali you can take the boat for near beaches (Agios Nikolaos and Livadaki). 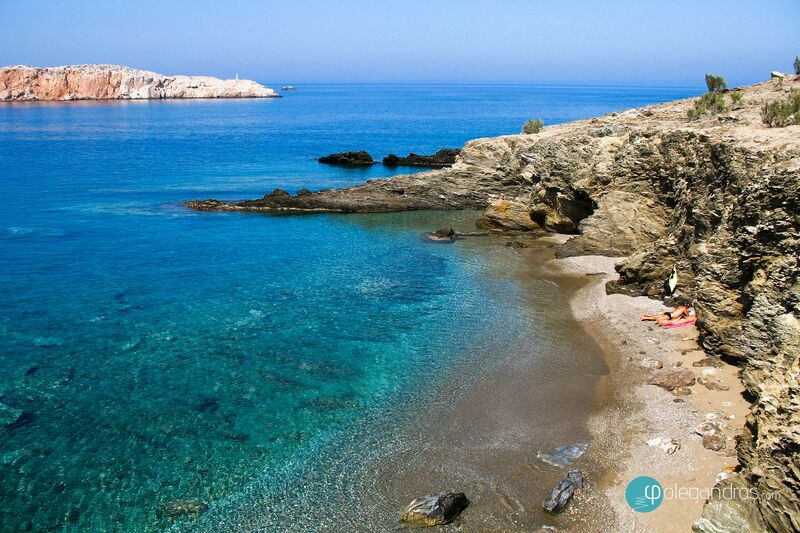 Beach with white pebbles and crystal blue clear waters. Access : Access by boat or on foot. Services : Unorganized beach. No cafes, tavernas or umbrellas. Services : Unorganized beach. You will find cafes and tavernas nearby. Safe for families and children. Pebbled beach with no trees for shade. Access : Easy access on foot from port (Karavostasi) approximately 5 minutes away. Services : Unorganized beach. No cafes or tavernas. Pebbled beach with amazing scenery and few trees for shade. Access : Access on foot (45 minute walk from Ano Meria) or by boat (15 min. from Agali beach). Nice sandy beach close to the port of Karavostasi (900 m). Access :Easy access by car or on foot. Big sandy beach with pine trees for shade. Suitable for families. Access :Easily reachable from Karavostasi on foot or by car. 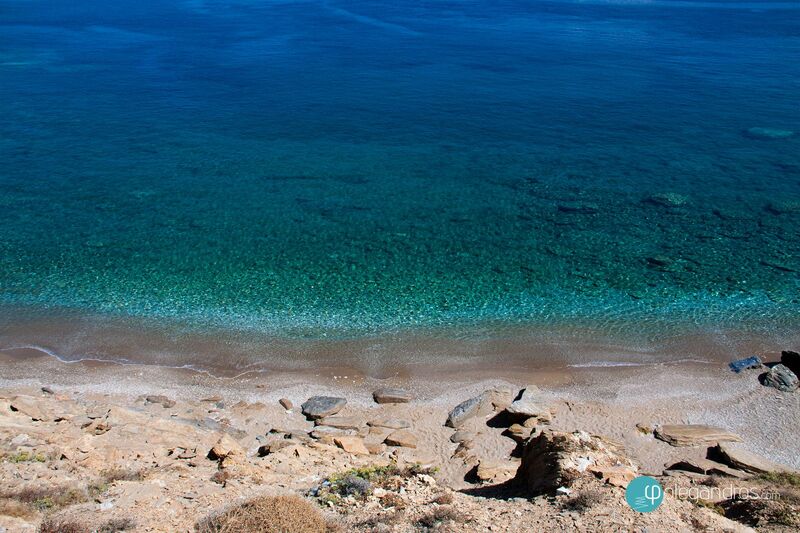 A quiet sandy beach close to the port of Karavostasi (1000 m). Access : Easy access by car or on foot. A small sandy secluded beach. Beach with pebbles that faces the north. Access : Access on foot (about 20 m) or by boat. Services : Unorganized beach. Bring water and food for the day.